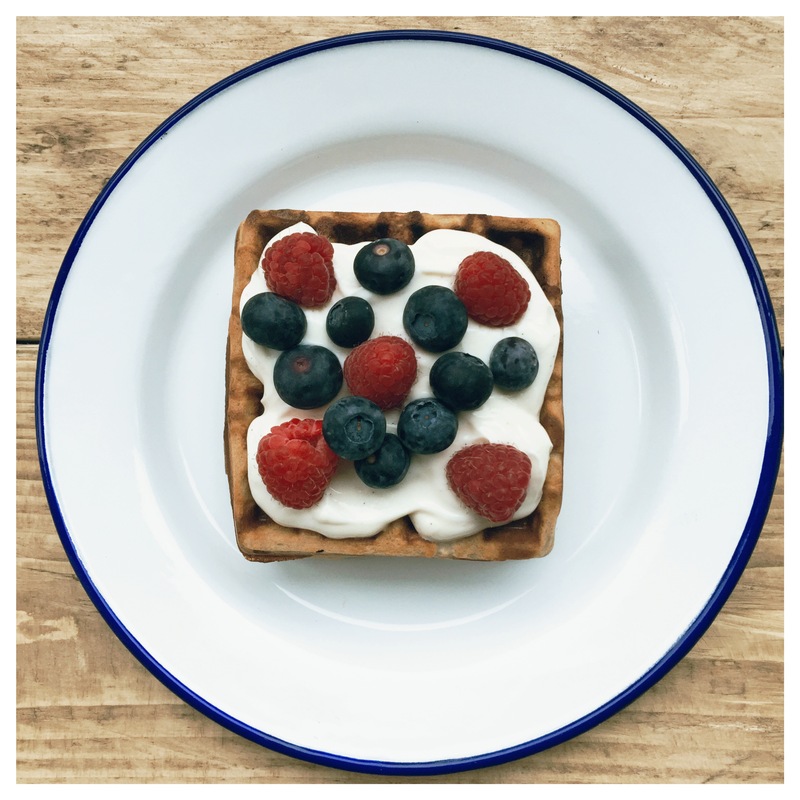 For those of you who are still in the spirit of new year, new me this is a perfect recipe for a guilt free treat. Basically no fat, no flour, and sugar is replaced with honey. 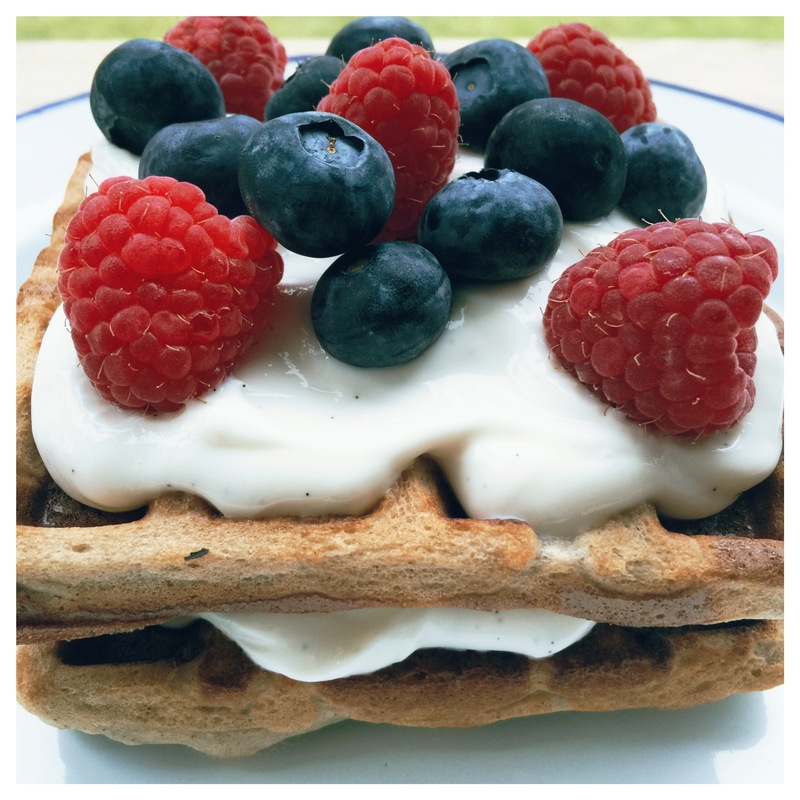 Depending on how you like your waffles you can easily modify this recipe. If you like soft and dense texture I suggest to use ground almonds but if you prefer them crispy you can swap almonds to corn meal that also adds beautiful golden colour. You can also make them in a larger batch and reheat in the oven. That way they will crisp up. 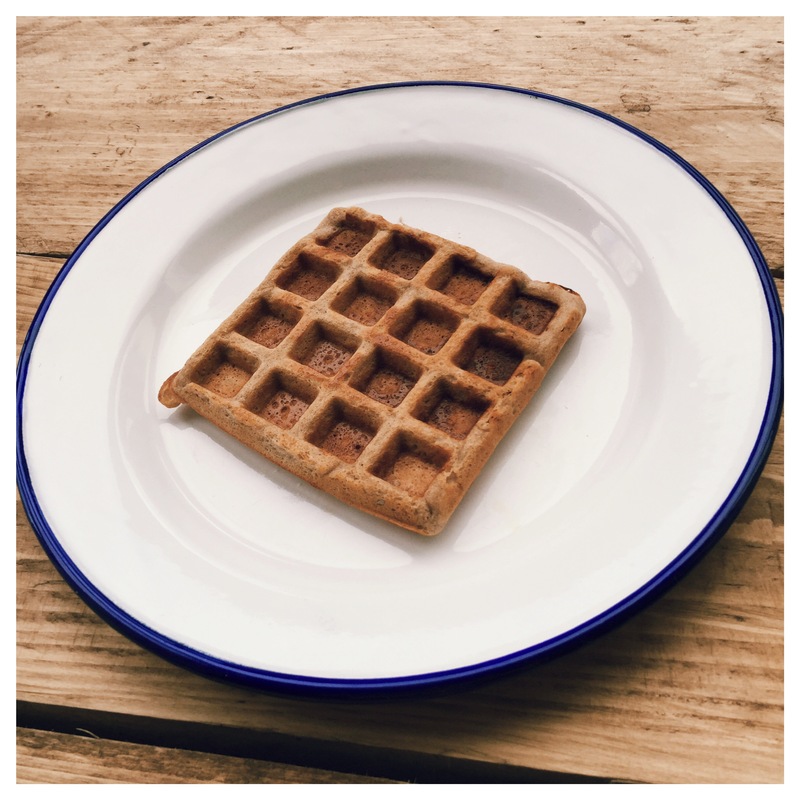 So waffle itself is one thing but there is also the topping that has to be an equal match. 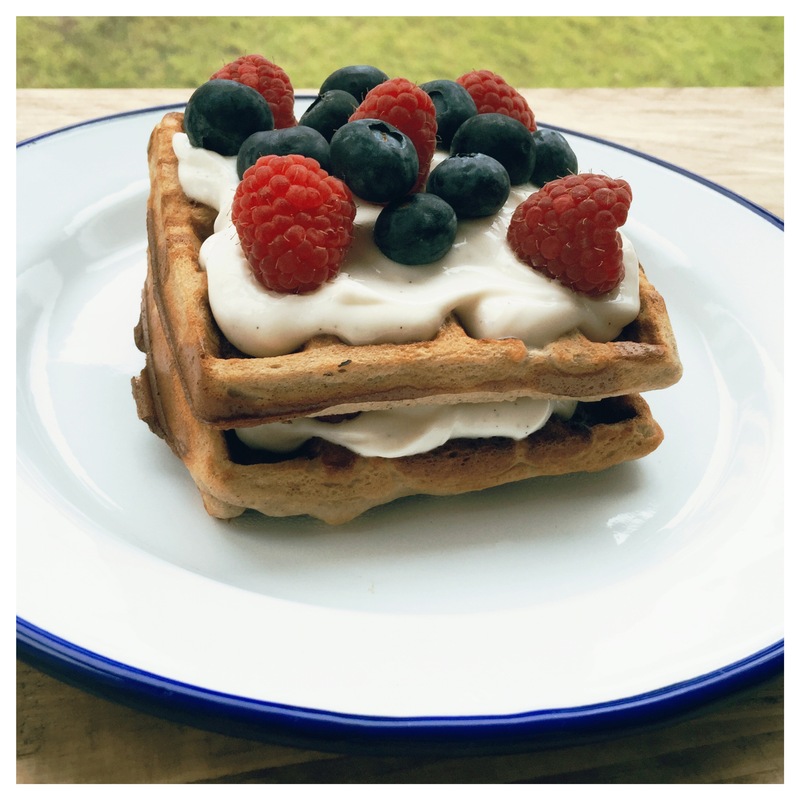 If I was to have waffles when dining out I always go for whipped cream and berries. I was never really a fan of chocolate or toffee toppings… From the other hand there is banana and Nutella… Ok berries and cream are as good as banana and Nutella… I said it!!! I hope you will enjoy it and spread the word ;). 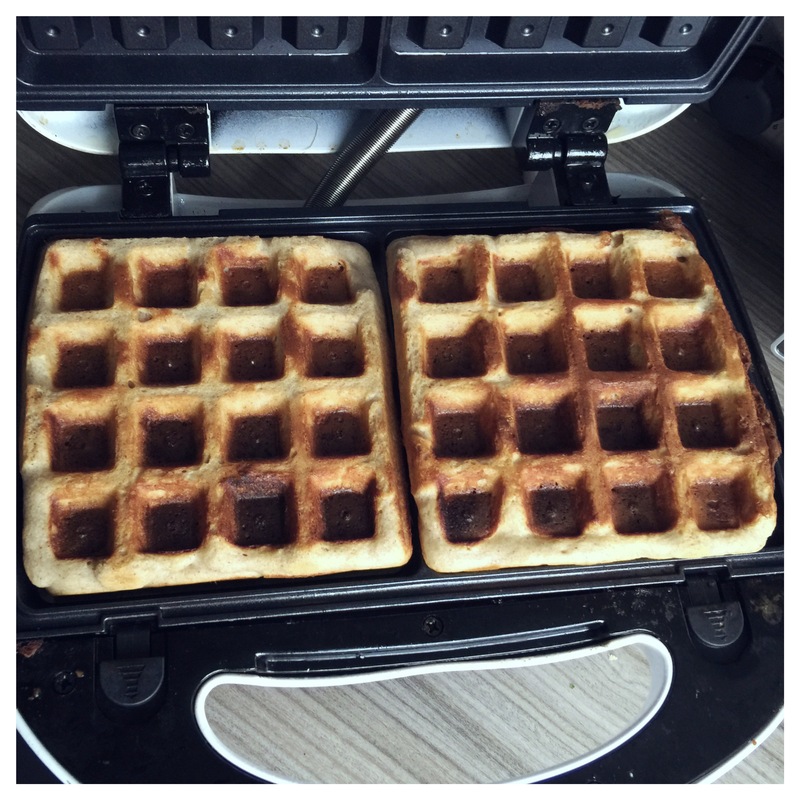 Brush your waffle maker with some olive oil or frylight and preheat. Spoon the mixture into preheated waffle maker and cook until golden. 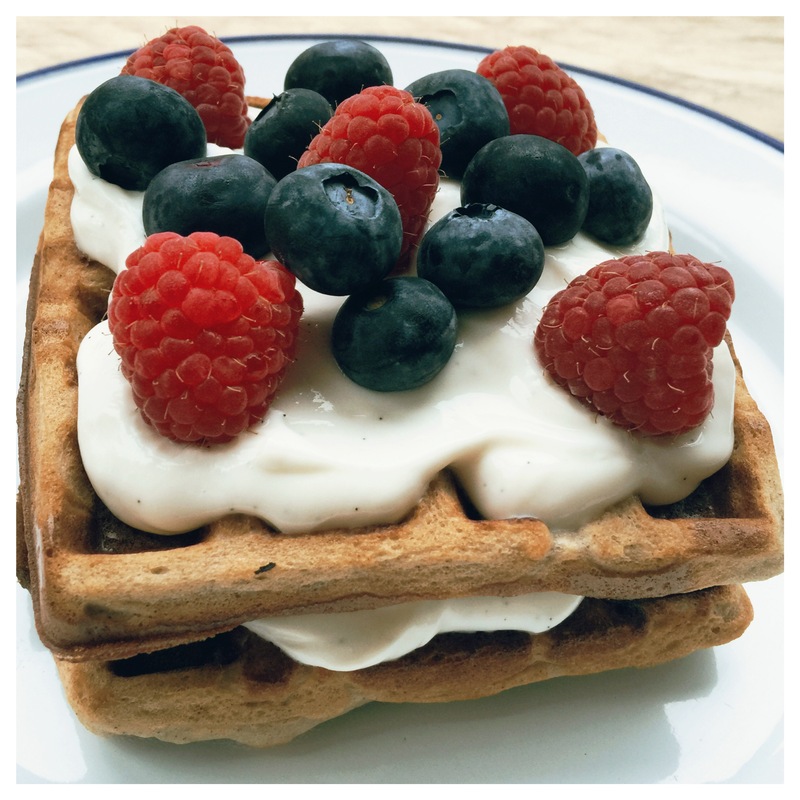 While the waffles are cooking mix the Greek yoghurt with honey and vanilla paste.